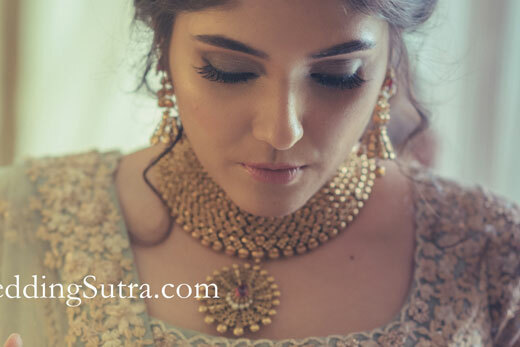 A pastel palette of colours made the perfect pairing as WeddingSutra decked up their bride to be, Snehal Gupta in contemporary pieces by Azva. 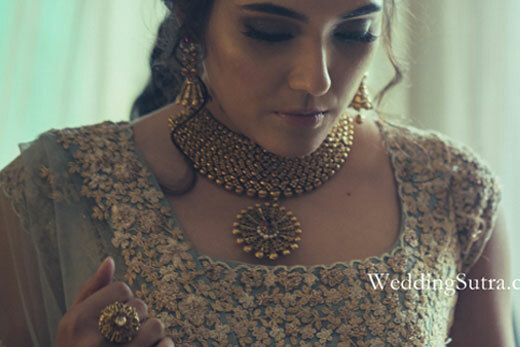 The gold choker of handcrafted ghungroos and beads embraced the bride with a statement pendant to covet. 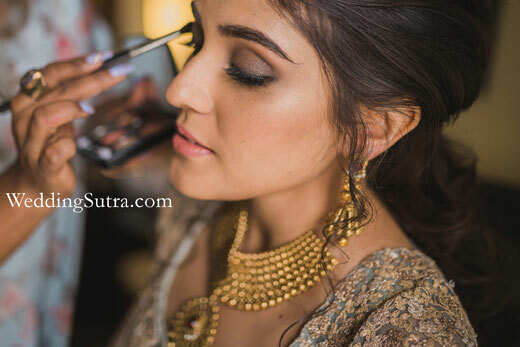 The look was kept sultry with smoky eyes and blush lips to complement this Sangeet ready pairing. 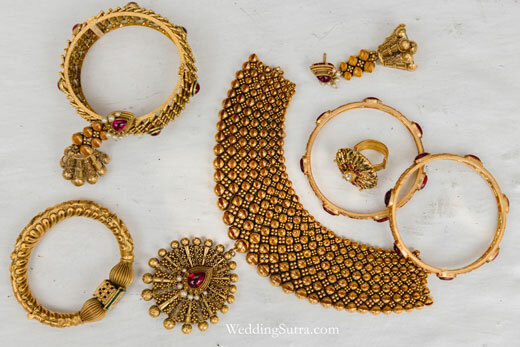 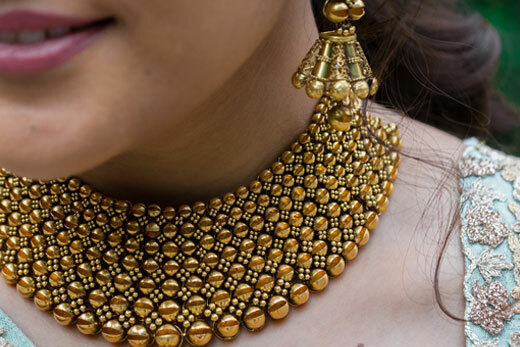 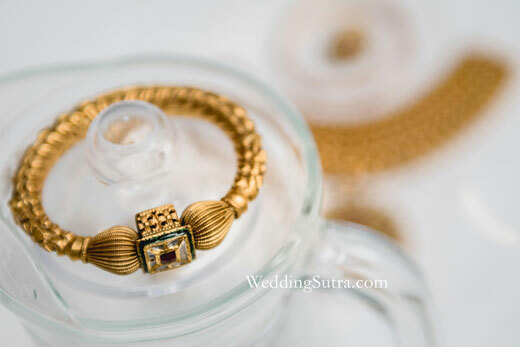 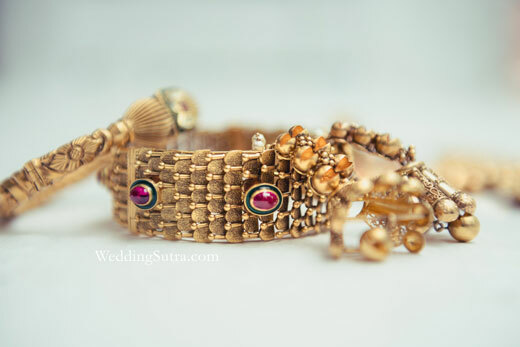 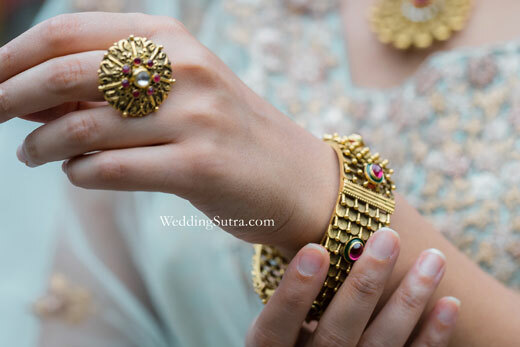 Gold jhumkis with handcrafted beads, a cocktail ring and artisanal bangles and cuffs finished up the look, setting major bridal style goals.